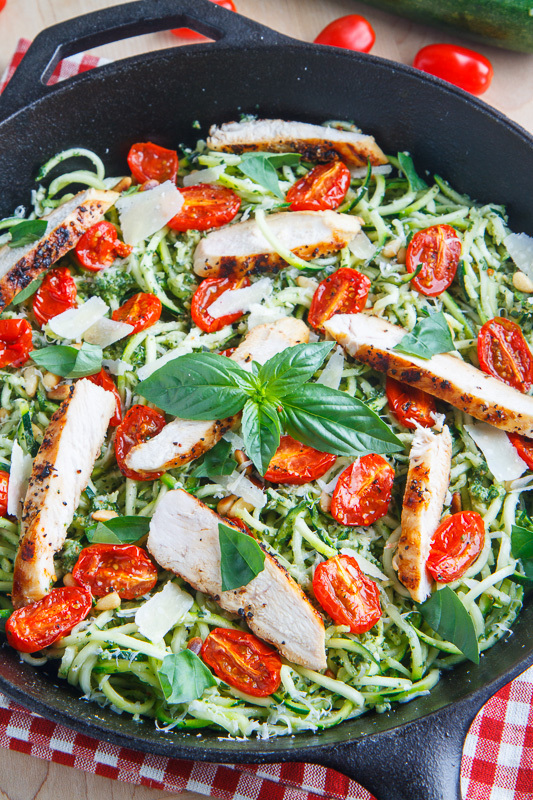 A light and tasty summery zucchini noodle pasta tossed in fresh basil pesto with roasted tomatoes and grilled chicken. Dovetailing Tip: Instead of preparing the chicken in this recipe use the extra grilled chicken from Meal 1. Dovetailing Tip: Pull out the zucchini noodles that you prepared during Meal 1.